Established in 1986 Neora Valley National Park is located near Lava in Kalimpong subdivision of Darjeeling District. Covering an area of 89 square kilometers this park is of the richest biosphere reserve in India. Open from 8 am to 12 noon, 1pm – 4pm. It is closed on Thursdays. It is one of the most popular tourist destinations and is growing rapidly in importance due to the number of tourists and also due to the diverse flora and fauna of North Eastern Himalayas. 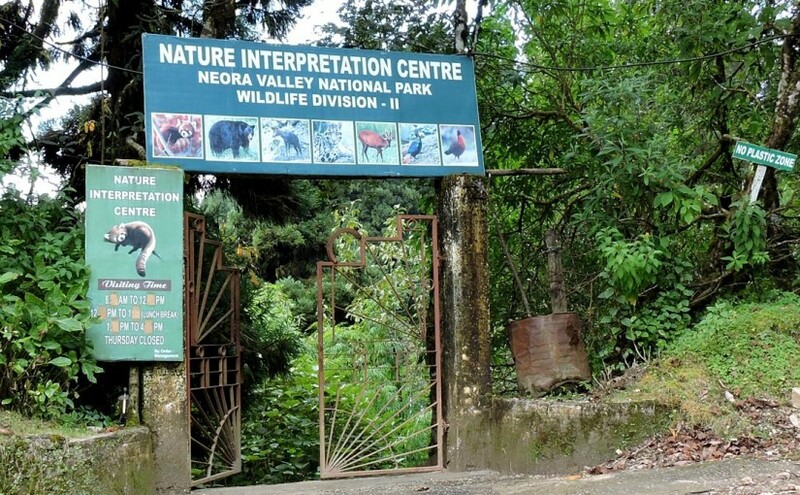 Located at a distance of 32 kilometers from both Lava and Samsing which is the border area, Neora Valley National Park has been declared by UNESCO as a World Heritage Site. Entry fee to this awesome reserve is INR 20. Covering an area of 89 square kilometers this park is of the richest biosphere reserve in India. Often referred to as the land of the endangered Red Panda, it offers a staggering variety of vegetation and also birds. The nature lovers will be overwhelmed by the abundance of rhododendrons, bamboo groves and mountain streams. The highest point of Neora Valley National park is 10,500 feet which is the Rachela Pass. Both buses and cars can take you to North East India’s biggest biodiversity zone, Neora Valley National Park. Buses plying from Siliguri will take you to Kalimpong from where Lava is 32 kilometers. The entry point of Neora Valley National Park is through Lava. There is an alternative route through Samsing for which you have to reach Chalsa from Siliguri which is 65 kilometers. From Chalsa Samsing is about 18 kilometers from where you can enter the biological zone. Accommodation is obviously in Lava or Samsing depending on whichever route you are taking. The geography of the Neora Valley National Park is unique. The heavy growth in the forest sometimes even restricts the sunlight from entering the forest. It is also known as the Virgin Forest and quite true to its name much of the forest land is yet to be discovered pushing the adventure lovers to explore those inaccessible parts. The Neora River is the primary water resource of Kalimpong. The flora of the region is diverse and the virgin wilderness supports tropical, sub-tropical, temperate and sub-temperate vegetation inside it. Mixed species of bamboo, sal, oak, ferns, rhododendrons and various types of orchids can be found in the park. The fauna supported by the forest environment is even more diverse. Red panda, sloth bear, Himalayan Flying Squirrel, wild boar, leopard cat, goral, serow, civet are some of the mammal species living in the forest. Others include lizards, king cobra, green pit viper, moths, bugs, wasps, cicadas. Neora Valley National Park is also known as the bird watchers’ paradise. Some of the most sought after birds can be spotted here within areas of 1600m-2700 meters. Birds like Jerdon’s Baza, Darjeeling Woodpecker, Crimson-breasted Woodpecker, Tragopan, Golden-throated Barbet, White-browed Bush Robin, White-tailed Robin can be seen. This is also a trekkers’ paradise because he/she can explore the diversity while climbing up to the highest point of the park which is the Rachela Pass. Jaributi is a particular point inside the park which is full of medicinal plants. Other interesting points include the Tiffin Dara and the Red Panda Camp. You must obtain the permit to enter the park from forest range offices in Lava and Samsing and nobody is allowed in the park after sunset. This entry was posted by indispottravel in Adventure Sports in west bengal, Bird Sanctuary in West Bengal, Jungle Safari in West Bengal, National parks and wildlife sanctuaries in West Bengal, Trekking to Himalayas, West Bengal, Wildlife in West Bengal and tagged Accommodation in Neora Valley National Park, adventure in Neora Valley National Park, area of Neora Valley National Park, attractions of Neora Valley National Park, bamboo, bamboo groves, biggest biodiversity zone, biosphere reserve in India, Bird watchers, birds, bugs, Chalsa, cicadas, civet, Crimson-breasted Woodpecker, Darjeeling, Distance of Neora Valley National Park from Lava, entry point of Neora Valley, excellent sightseeing, fantastic climate, ferns, full of medicinal plants, Golden-throated Barbet, goral, green pit viper, height of Rachela Pass, highest point of Neora Valley, hill stations, Himalaya, Himalayan Flying Squirrel, Himalayan range, how to reach Neora Valley National Park, Jerdon's Baza, Kanchenjunga, king cobra, leopard cat, lizards, magnificent view of Kanchenjunga, medicinal plants, moths, mountain streams, Neora River, Neora Valley, Neora Valley Established in 1986, Neora Valley National Park, Neora Valley National Park near Lava in Kalimpong, Neora Valley through Samsing, North East India’s biggest biodiversity zone, North Eastern Himalayas, oak, orchids, popular hill stations, popular hill stations in India, popular hill stations in West Bengal, Rachela Pass, Red Panda, Red Panda Camp, restriction at Neora Valley National Park, rhododendrons, richest biosphere reserve in India, Sal, serow, sloth bear, Tiffin Dara, Tragopan, trek to Jaributi, trek to Rachela Pass, trekkers’ paradise, Virgin Forest, wasps, water of Neora River, West Bengal, White-browed Bush Robin, White-tailed Robin, wild boar, Woodpecker, World Heritage Site, World Heritage Site in Darjeeling District, World Heritage Site in Kalimpong, World Heritage Site in West Bengal.